Hito Steyerl presents eight existing works and one new commission within an exhibition design conceived by the artist and her team. 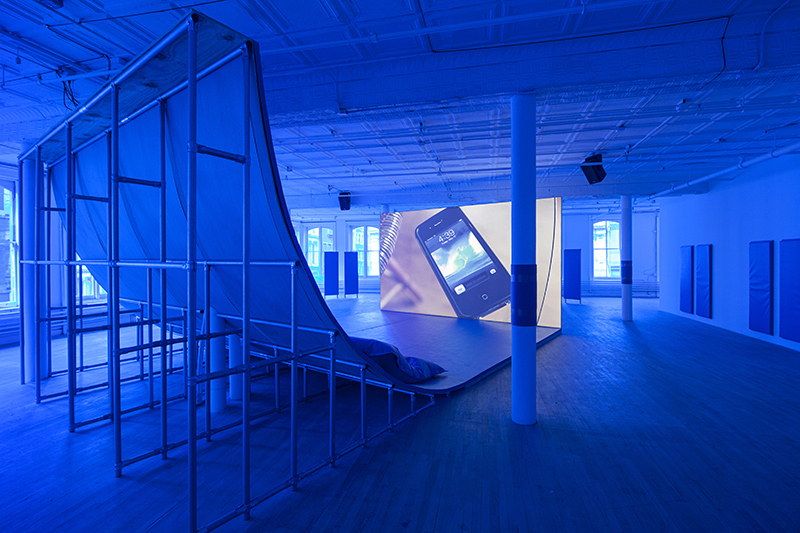 The exhibition spans both Artists Space venues and also encompasses a program of talks and screenings, and an online aggregation of Steyerl’s writing. 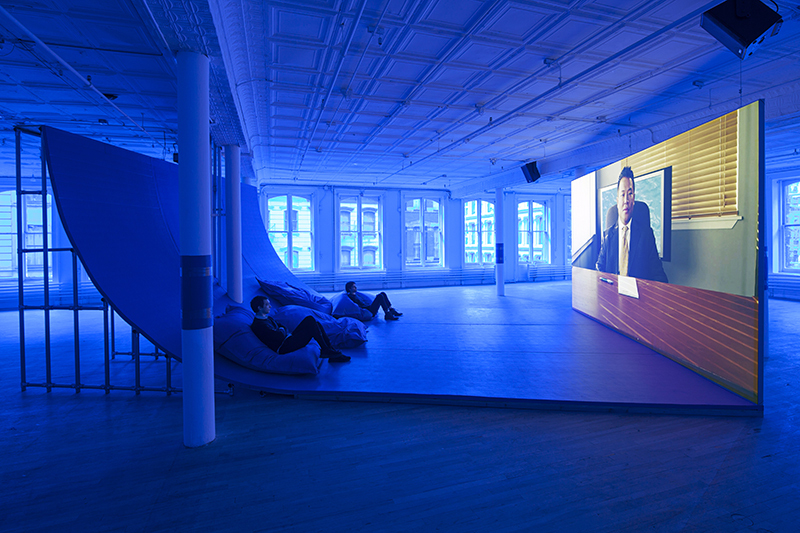 Steyerl studied documentary filmmaking, and her essay films of the 1990s address issues of migration, multiculturalism and globalization in the aftermath of the formation of the European Union. Her films November (2004) and Lovely Andrea (2007) mark a move towards the extrapolation of the essay form as an open-ended means of speculation. They locate representations of herself and her friend Andrea Wolf as object lessons in the politics played out within the translation and migration of image documents. Steyerl’s prolific filmmaking and writing has since occupied a highly discursive position between the fields of art, philosophy and politics, constituting a deep exploration of late capitalism’s social, cultural and financial imaginaries. Her films and lectures have increasingly addressed the presentational context of art, while her writing has circulated widely through publication in both academic and art journals, often online. These “politics of the monochrome” are carried further into the scenography of the exhibition. 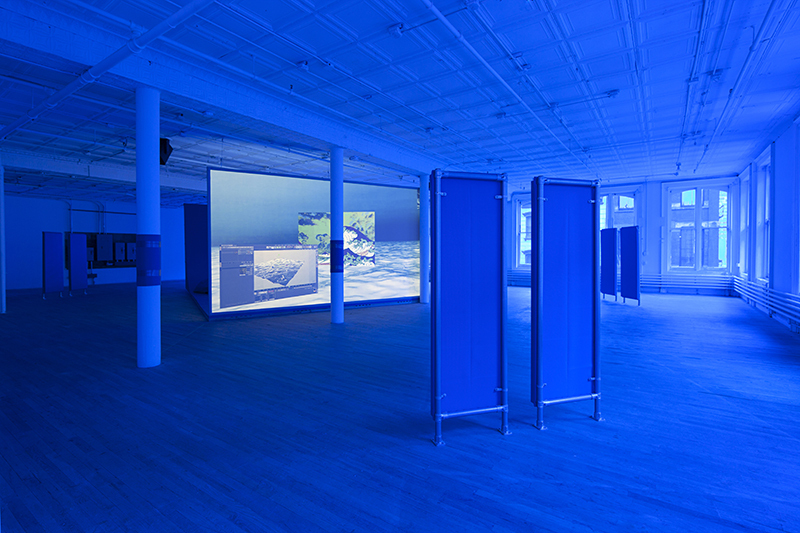 The films Guards (2012) and In Free Fall (2010) are located in labyrinthine “black-box” spaces that take the viewer from the claustrophobia of a padded corridor, to first-class airline luxury; whereas Liquidity Inc. (2014) is installed in a space bathed in aquatic blue light. 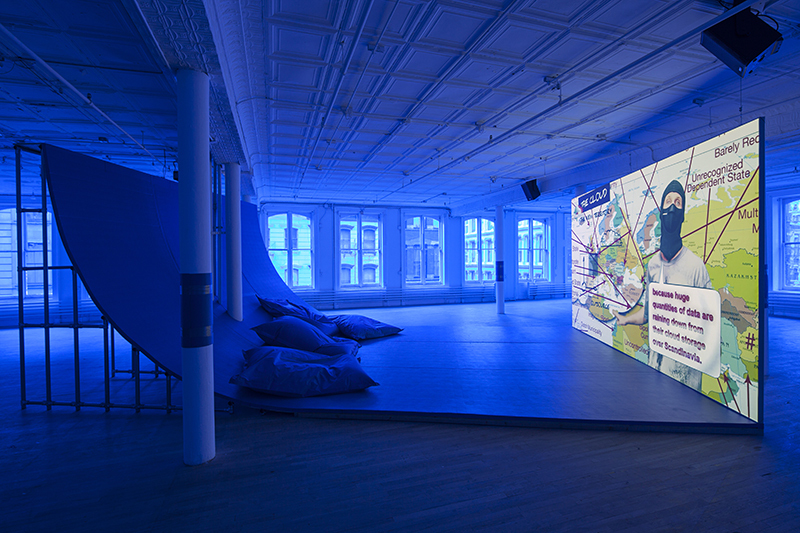 As with the majority of Steyerl’s films, these works extend from research conducted through interviews and the accumulation of found visual material, and move between forensic documentary and dream-like montage. Guards, produced at the Art Institute of Chicago, centers on conversations with museum security staff with previous military or law enforcement careers. Their descriptions of tactics and strategy point to the museum as a site of militarization and privatization, and to their contradictory position between visibility and invisibility within a space of pure affect and sensation. In Free Fall takes as a central motif an aircraft graveyard in the Californian desert, and builds around the biographies of objects and materials held there a web of connections between economic crash, the volatility of the moving-image industry, and the spectacularization of crisis. Steyerl’s most recent film, Liquidity Inc., treats as dual subjects the figure of Jacob Wood, a former investment banker turned MMA fighter, and water, in all its mutable physical and metaphorical states. 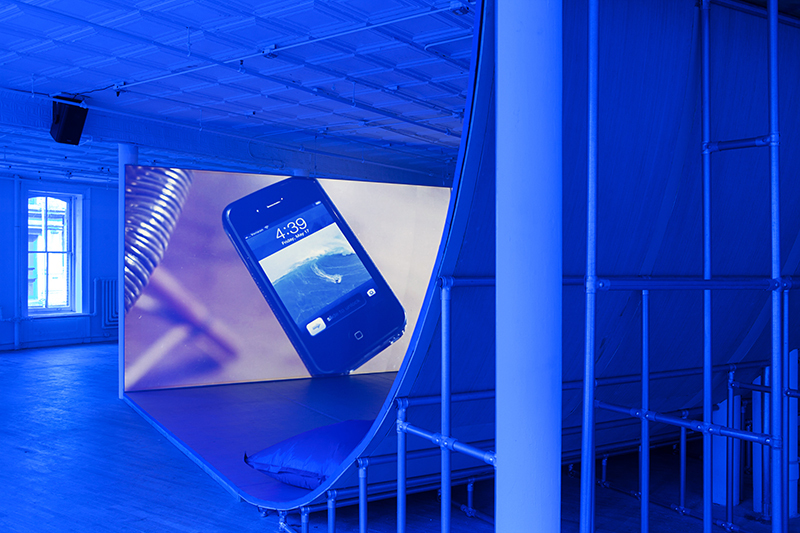 This exhibition is supported by the Friends of Artists Space; the Graham Foundation for Advanced Studies in the Fine Arts; and the Hito Steyerl Exhibition Supporters Circle: Andrew Kreps Gallery, Eleanor Cayre, Nion McEvoy, and the Goethe-Institut New York.